Member for Dubbo Troy Grant said the 'Cyber Security for SMEs' event will be held in Dubbo on 14 November. Similar events will also be held in Orange on 14 November and Bathurst on 15 November. “The growth of digital technology in business has contributed to a growing risk of cyber security events or cybercrime,” Mr Grant said. 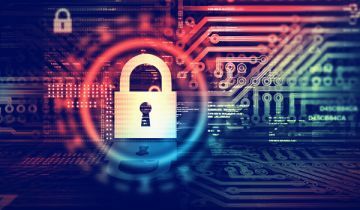 “Recent research by the Office of the NSW Small Business Commissioner showed that about one in three small to medium-sized businesses in NSW have been victims of cybercrime. Professor Mark Morrison from CSU’s CenWest Innovate said the Cyber Security for SMEs events will coach businesses on cyber security threats and mitigation. “The workshops will offer expert advice from panelists including William Ulyate from Content Security, Cyber Security Advisors, and Dr Peter White who is Manager Research and Development at the Department of Finance Services and Innovation Spatial Services and an Adjunct Lecturer at CSU,” Professor Morrison said. “The panelists will coach businesses on cyber threats and issues, how to conduct risk assessments, how to mitigate cyber security issues, and how to apply the Australian Security Directorate’s Essential 8 guidelines. Bathurst - Wednesday 15 November, 5.30-8.30pm, City Hall, Bathurst Memorial Entertainment Centre.